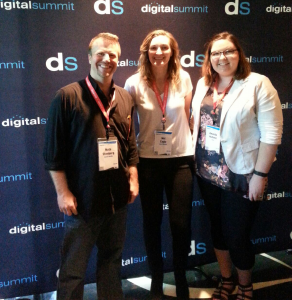 The inaugural Digital Summit in Portland is taking place right now, and we have three team members attending. With different tracks featuring industry influencers from organizations such as Facebook, MOZ, Uber, and Airbnb, we’re bringing you the key highlights learned on day one. When creating content it is important that it resonates with your audience. Personalizing it for your audience is extremely important and Jessica Williams (Jessica_J) of Uber Portland says there are three necessary aspects to effective personalization of content; relevant messaging, purposeful targeting, and proper targeting. Your message needs to be relevant and important to your audience as well as interesting or helpful in some way. Next, it needs to target the right audience: your content or messaging can be great, high-quality material, but if you are targeting it at the wrong people, it is a waste of time and money. Williams recommends breaking out your audience into smaller cohorts. These cohorts could be based on audience personas, interaction with your brand, demographics, etc. Finally, you need to make sure you are strategically releasing or pushing your content at the proper time, this could be time of day, season, month or even timed based on current events. Develop 10X better content than you have before. Rand Fishkin (@randfish) stated that the #1 think marketers can do is to develop better content than your competitors and of course, optimize it well, but focus on the user and build for them first. Develop keywords for the “persona” of the visitor. Kevin Doory (@kevindoory) of iPullRank provided a much more detailed way to develop the keyword content to focus on the visitors that you are hoping to draw to your website by developing target “persona’s” of your ideal clients and then implement you keyword plan based on the personas. From a technical SEO standpoint, focus on Page Speed. Doory thinks it should be the #1 focus from a technical standpoint at this time for two reasons: ranking factor and it provides a better user experience.